ALQO is otherwise known as "ALQO" and runs independently of a reserve bank or single administration. The decentralized crypto-currency ALQO can be mined for profit. It uses the Quark algorithm and the proof of work and proof of stake (pow/pos) consensus. To keep updated with the latest news from ALQO, you can find them on Reddit and Telegram. We don't have any cloud miners listed for ALQO yet, check back soon! 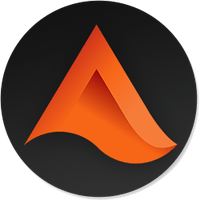 We don't have any exchanges listed for ALQO yet, check back soon! We don't have any wallets listed for ALQO yet, check back soon! We don't have any debit cards listed for ALQO (XLQ) yet, check back soon! We don't have any price charts listed for ALQO yet, check back soon!